Fresh & Easy Neighborhood Market in California, Arizona, and Nevada believes that fresh, wholesome food should be "simple and affordable." In addition to their regular year-round products, Fresh & Easy is offering holiday gourmet food gifts, including wines, chocolates, and cookies, which should make your holiday gift-giving a whole lot easier. 1. Ogio Prosecco Non-Vintage, $8.99. This prosecco was refreshing, crisp, and bubbly. It makes a festive holiday bellini when paired with blood orange, cranberry, or pomegranate juice. 2. The Vine Yard Cabernet Franc 2007, $7.99. For the money, this is a nice wine with hints of cherry and spice and a smooth finish. 3. Sweet Boutique Gourmet Swiss Chocolate Assortment, $7.99. The assortment contains a mix of attractive dark, milk, and white chocolates with nuts and liquors. Some are rich and delicious, while others are a bit too sweet. It makes a nice hostess gift, especially when paired with a bottle of the prosecco. 4. Sweet Boutique Gourmet Belgian Biscuit Collection, $7.99. This makes a great gift for anyone who enjoys biscuits, especially if you pair it with some tea or coffee. The cookies are deliciously buttery and crisp and the chocolate is sweet and smooth. Plus the pretty embossed gold tin is reusable. 5. ChocChoc Mint Thins, $1.99. These makes terrific stocking stuffers. Dark chocolate contrasts perfectly with tangy mint for a chilly winter-time treat. 6. Fresh & Easy Cranberry & Nut Popcorn Clusters, $4.99. Quite simply, this popcorn is addictive. Big, sticky clusters of popcorn, cranberries and nuts are held together by a sinfully sweet syrup of brown sugar and maple. I would buy several of these for gifts and for yourself. Now, it's time for the give-away! One lucky Food Blogga reader will receive a gift from Fresh & Easy containing a bottle of wine in a reusable tote bag, a box of chocolates, and coupons for future purchases. To win, simply leave a comment indicating which of the holiday treats listed above you'd most love to try. Deadline is Monday, December 14th at midnight, PST. Please note that the winner will need to provide his or her full name and mailing address. Good luck! I am going to get the ChocChoc Mint Thins for my boyfriend's stocking. He loves chocolate mint stuff. I'm always on the lookout for a good value on Prosecco. I'd try that and the popcorn. Sounds amazing. Happy Holidays! The Nut clusters definitely look awesome! It's great to see everyone doing a giveaway this month. It seems a lot of bloggers' (including mine) are ending next Monday! I'd love to try that prosecco! I would love to try the Processo! I'd love to try the proseco! It all sounds amazing but I'd have to go with the Cranberry & Nut Popcorn Clusters! That is what I like about our local markets. We can get lots of things that are out of our price range other places. It's a tossup but I would have to say the mint thins! I would have to say the Prosecco! Popcorn, popcorn, popcorn! I love fun and unique popcorns. I believe that Belgian biscuit collection is calling my name! The Prosecco would definitely be my favorite! I'd love to try the popcorn. It's by far my favorite treat, no matter its incarnation! i'd love to try the mint thins :) or the popcorn... hard to choose! The popcorn clusters sound wonderful and possibly addictive. The popcorn washed down with a glass of Prosecco. Can't beat that!! I'm pretty sure I'd really enjoy the chocolate assortment! I would like Sweet Boutique Gourmet Swiss Chocolate Assortment - love chocolate! My father is swiss and I simply love chocolate... so I would like to try the Sweet Boutique Gourmet Swiss Chocolate Assortment. Sounds reaaally good. I'm a sucker for bubbles, so I'd love to try the Ogio Prosecco Non-Vintage. This sounds like a lovely source of food for foodies in particular. Oh definitely the popcorn. There are a few Fresh & Easy stores near both of our apartments, and they have good prices on foods. Oh, too easy, prosecco it is. Sweet Boutique Gourmet Belgian Biscuit Collection for sure. Sweet chocolate and cookies, shortbread, perfect holiday treats. The cranberry popcorn looks great! I would walk across the country for a taste of the Cranberry and Nut Popcorn clusters!!! The Cranberry & Nut Popcorn Clusters! hands down!!! Simple, affordable and all look delicious! I would love to try and give away the biscuits! choc choc mint thins. Altho that popcorn looks wonderful too. Sweet Boutique Gourmet Belgian Biscuit Collection--- I always like something sweet with my coffee or tea. These sound good. ChocChoc Mint Thins, if they are anything like York peppermint patties, I'm sold. Wow I love Fresh & Easy and I haven't tried that popcorn yet. I think I would like to try the Cab Franc the most. Everything looks wonderful, but I love chocolate and mint, so I'd have to try the ChocChoc Mint Thins first! ChocChoc Mints on the left, Popcorn on the right. Let it rain. I'd love to try the popcorn clusters! The Vine Yard Cabernet Franc! Always love to try a new wine! The chocchoc mint thins sound awesome! 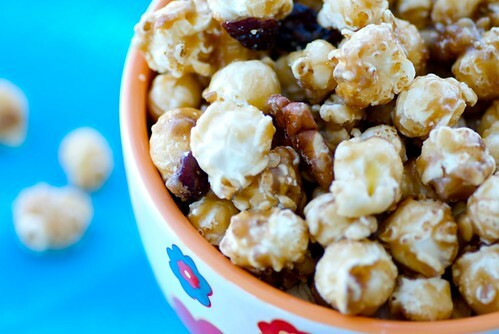 I would definitely love to chow down on a huge bowl of Cranberry & Nut Popcorn Clusters. there's something so comforting about big clusters of caramel corn. mmmm! I would love to try the Ogio Prosecco Non-Vintage in the form of a raspberry belini! One of the saddest parts of moving to Utah was leaving Trader Joe's and Fresh and Easy behind in Southern California. I like Fresh and Easy almost better than TJ's because it's a happy marriage of regular grocery store products AND unique store brand products. Their mango lemonade is summer in a bottle. One thing I could do without is seeing the tripe they stock in their meat section. Just looking at that stuff makes me so queasy. As for which treat I would like, it would have to be the chocolate mint thingies. The popcorn clusters look interesting and tasty. Fresh & Easy Cranberry & Nut Popcorn Clusters Yummmmm! All of them sound so good. Will go for the popcorn and cranberry. Can taste it now! I would love to try the Nut clusters! They look yummy! The popcorn! Definitely the popcorn! I would even defy my dentist for that heavenly looking stuff. And, Susan, Jean Prescott here...don't know why my Google ID will never work at your site (which is why I don't post more often). My e-mail is expat39520@yahoo.com. Prosecco and cookies...it doesn't get much better than that! I have never tasted prosecco and would love to try it. The gourmet Belgian biscuits would have to be my first choice because my husband is a cookie fanatic. But, it all sound delicious. Oh that popcorn is calling my name! Yum! I can't make up my mind between the Cabernet & the Biscuits, but I am leaning towards the biscuits. They sound yummy. Cranbery nut clusters sound yummy! I would love to try Sweet Boutique Gourmet Swiss Chocolate Assortment. make mine the caramel corn!! once I start I just can't stop.... my favorite. Hey, I live with the Wine Imbiber. It's got to be the Prosecco! We just recently got Fresh and Easy here in Arizona. I need to go check some of these products out. I trying to decide between the wine and the mint thins. i'm in love with prosecco. i'd love to try this one! Those popcorn clusters sound amazing but I know my mom (okay, and me too) would love those ChocChoc Mint Thins. two of my favorite words: chocolate assortment. chocolate? yes please. assorted chocolate meaning more chocolates? yes and yes. Wow, it all sounds great, but I'd really love to try the buttery cookies. The older I get the more I like simple cookies like that with a cup of hot tea. Yum- it's a toss-up between Prosecco and thin mints! most definitely the Ogio Prosecco Non-Vintage, it sounds like a form of sangria and we LOVE sangria! I hope to get the chance to try the ChocChoc Mint Thins. My sister loves the mix of mint and chocolate - more than anyone I know! It would be such a great post-finals treat! Ooh, tough call between the choc-choc thin mints and the popcorn clusters. I think I'll have to come down on the side of popcorn. Wow, hard to choose... probably the popcorn. Everything looks yummy but if I had to pick one, I'd try the cabernet franc. It's always good to know of an affordable red wine for everyday drinking and for cooking. I am going to try the orange cranberry slices. I really love the colors in it, and I feel like a lot is about presentation. I make an orange/vanilla cake with raspberry icing and it is always a huge hit. The orange/cranberry slices looks like it would be close to the same thing, but on a smaller scale. And of course, the substitution of cranberries for the raspberries I use in my cake would also provide a contrast in tartness, which I think most people would appreciate! Oh wow, I definitely picked from the wrong entry, nice. Ahem, I meant to do that. From the appropriate list, I would like the make the prosecco the most, and use the Cranberry. I'd love to try the prosecco! I would have to try Ogio Prosecco! Last year, I began pursuing my dream of becoming a pharmacist after working for years. I used to have posh holiday parties when I was working full time, but I really can't afford such parties anymore. Prosecco in general is a great alternative to bubbly champagne due to its bubbly and fruity nature. I would love to have a Christmas party with Ogio's prosecco and serve holiday themed Bellini - something like cranberry/pomegranate, apples and spices, etc. Mmm... I can't stop thinking about bubbly prosecco based drinks! =) Happy Holidays! the biscuits -- buttery flavor and chocolate. You had me at "hello". I would love to try the Ogio Prosecco Non-Vintage.